High-strength 2 part epoxy adhesive is both stronger and cures over three times faster than standard Thixo. Ideal for bonding applications & ready for high loads in only four hours. Included mixing tips ensure perfect resin to hardener ratio. 185 ML cartridge fits all standard caulk guns. 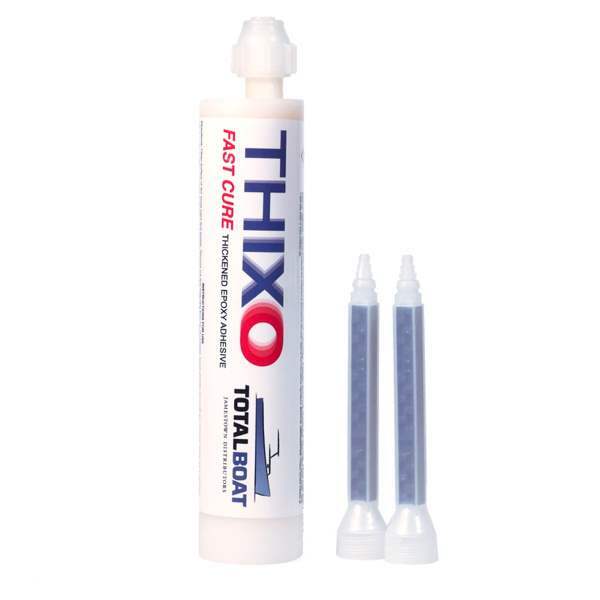 Thixo Fast Cure is the strongest (in flexural and tensile strength) cartridge-dispensed, 2 part epoxy adhesive we know of. 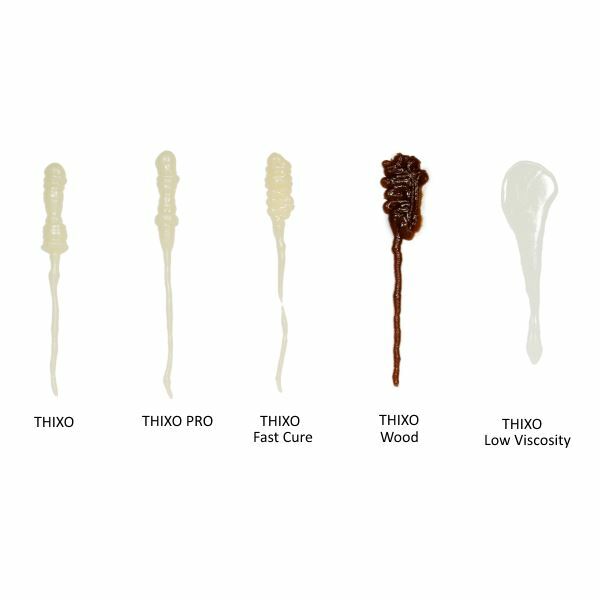 Use it for bonding applications above and below the waterline, and as an adhesive on wood, metal, or fiberglass. It does virtually anything standard Thixo does, with the exception of filling gaps.